There are many ways to shoot panoramic images. One way is to take multiple images and stitch them together into a larger photo. That approach is great for landscape and scenic photos. However, the problem is that things can change or move between shots. Those motions can show up as blurs in the final image. A single-shot approach is often better when shooting a crowd or where there may be a lot of movement. A fisheye lens, with its 180º field of view, is used to make such a shot. Obviously, due of the extremely wide-angle, the scene captured is quite distorted. Up until the last decade, fish-eye lenses were used more for their artistic effects than for practical applications. However, digital image processing have made it possible to un-warp the scene an convert it into a panorama. By taking a few of these fisheye images and stitching them together, it is even possible to create a full 360º immersive panorama. A decade ago, it would have taken a DSLR with a special lens, a powerful desktop to run the algorithms, and quite a few processing steps to create a panoroma. Now, even devices such as the iPhone and iPad have enough computing power to capture and process these images and flatten them out into undistorted panoramas. Moreover, the iPhone’s camera is almost as good as many older DSLRs! A few companies like Pixeetand Kogeto, realizing this, have started to offer lenses and software designed specifically for the iPhone. The advantage of using the iPhone instead of a regular digital camera to create a panorama is that everything is available on the device (camera, computer). There is no need to transfer data to the computer for processing. Once the panorama has been created, it can be sent out anywhere immediately, all while the photographer is still on location. Pretty amazing considering the device fits into a shirt pocket. 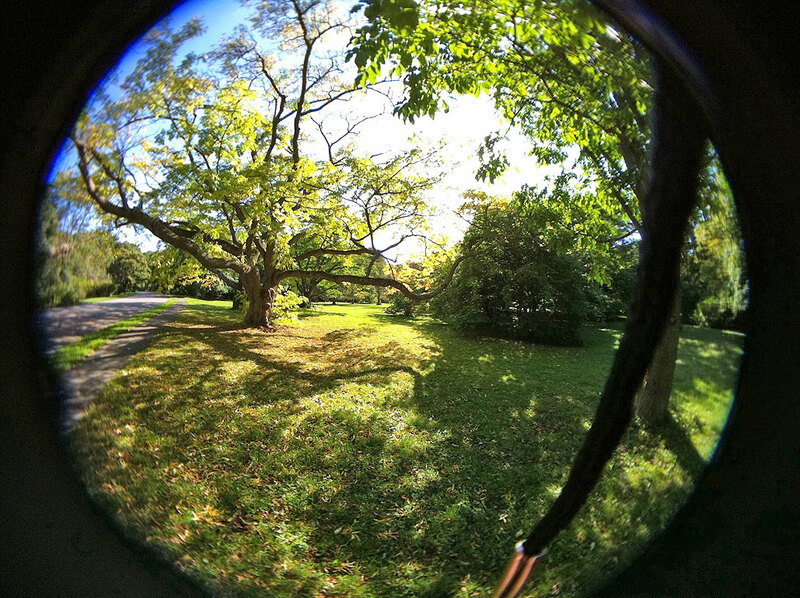 At the beginning of Fall, we did a FirstLook of the Pixeet fisheye lens for the iPhone. Recently, we took it out for a FirstUse. The app guided us through each of the steps (aligning the images, taking the necessary number of shots, viewing the panorama). The software was easy to use and the results were surprisingly good, even with our first attempt. It even tags the location of where we took the pano using Google Maps. What was even more impressive was that we were able to do all of it while we were still out in the field. At less than $50, Pixeet has put together an excellent kit (lens, case, iPhone app) which will enable anyone interested in taking pano images to get their feet wet without having to invest a lot of time or money. 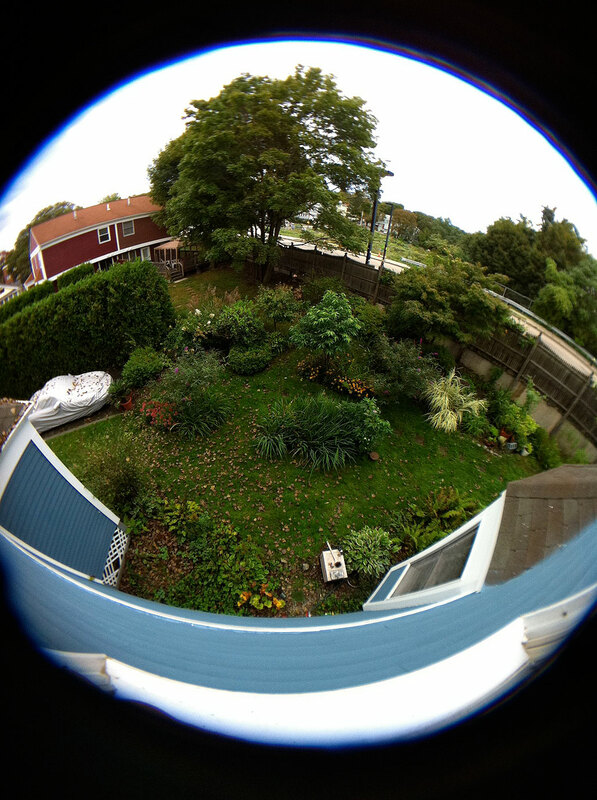 With the Pixeet software, the iPhone can actually be used to make full 360º panoramic images and videos. We will have detailed comments about the software and show more of our results soon. Look for the InTheWild update later this month.